As their name suggests, the Roma (Gypsies –from the Greek Aigyptioi) were initially believed to have come from Egypt. However, they were a group of people who left India in the tenth or eleventh century AD. The cause of the Roma Diaspora is unknown. One theory suggests that after they left India, the Roma migrated west to Iran (Persia) and the Arabian Peninsula. Some groups moved westward to Byzantium and the Trans-Caucasus, reaching Europe no later than 1250. By the 1300's, their migration had reached South-Eastern Europe; by the 1400's, Western Europe. Many other names were given to them: Gypsies, Gitanos, Gitans (i.e. Egyptians), Zigeuner, Tsiganes and Cingaros. The Roma people were already known in Byzantium in the middle of the 11th century, when they started moving into Constantinople. The presence of Armenian words in all dialects of the European Roma indicates that the Roma had come to Byzantium from Armenia. In any case, by the second half of the 14th century the Roma were present in the Southern areas of the Balkan Peninsula. Mass settlement of Roma took place between the 13 and 14th centuries in Bulgaria. Some of them settled down permanently and others became nomads. From the second half of the 14th century there is more evidence of Roma groups dispersing to other parts of Europe. In the 15th century, by the time of the reign of the Catholic Monarchs, the Roma were already travelling across the Iberian Peninsula. Some families settled down in places like Andalusia, the so-called Gypsy Heartland. The history of the Spanish Gypsies is the history of a culture clash between a mobile community and a sedentary one. A very long phase of persecution began, during which the Gypsies' cultural diversity was targeted. They were prohibited from using their language and traditional clothes, they were forced to settle, to leave their traditional crafts and to serve a Lord. In Portugal, the first written evidence of the Gypsies’ presence dates from 1521. In 1525 Gypsies were forbidden from entering the Portuguese kingdom. Gypsies were deported to Africa and Brazil and in this way the diaspora expanded to other continents. Throughout the rest of the 16th century and first half of the 17th, laws against Gypsies were passed. In 1822 citizenship for Gypsy people was recognized. In the British Isles, the Roma people are believed to have arrived in the second half of the 15th century, entering Scotland from Denmark. They were referred to as ‘Egyptian pilgrims’ in older sources. Many repressive laws were passed from 1530 onward, banning Gypsies from entering England and Wales and forcing those already in the countries to leave. These laws were gradually abolished in the years before 1856. In more recent history, the 19th Century was of particular significance for the European Roma. During the Enlightenment the quest began to provide a legitimate history and identity for this population. At the same time, the mid-19th century saw the emergence of Scientific Racism which led to the attempted destruction of the Roma people by Hitler’s Third Reich. The 20th century was dominated by two main events: the Holocaust and the collapse of Communism in Eastern Europe. It also saw the emergence of organized Romani political activity which flourished following the end of the First World War, mainly in Eastern Europe. In January or February 1940, the first mass murder of the Holocaust took place in the concentration camp at Buchenwald, when 250 Roma children from Brno were used as guinea pigs to test Zyklon-B, later used in the gas chambers at Auschwitz-Birkenau. In Czechoslovakia, special camps for exterminating Roma were built at Lety and Hodonín. During the Second World War, the Roma were also deported from Germany’s allies such as Italy, Slovenia, Croatia and Romania. During the years following the war, the Roma population in Europe was practically silenced. Political activity was minimal and the Roma were reluctant even to publicly identify their ethnicity. In the 1950s and 1960s, new waves of migration were taking place across Europe. After the fall of the communist regimes, working abroad became a livelihood for a lot of Roma from former communist countries. Their main destinations were Greece, Italy, Spain, Portugal, France, Germany, Belgium, Holland and the United Kingdom. It is not easy to answer the question “What is the current Roma population?”. On the one hand, the official representatives of many countries want to "downplay" the number of Roma living in their country while on the other hand many Roma activists tend to cite way higher numbers. With a population in Europe estimated between 8 and 12 million, they can be found everywhere - from Finland to Greece and from Ireland to Russia - but they have no "homeland." The largest numbers of Roma live in Central Eastern Europe: Romania, Slovakia, Bulgaria, Hungary and former Yugoslavia. According to the figures published by the Council of Europe in 2007, the total number of Roma and Travellers was 9,855,382 people. In the UK Gypsies refer to themselves as ‘Romanichals’ or ‘Welsh and English Gypsies’. The two other itinerant populations are Irish Travellers and Scottish Travellers. In Spain Andalusia has always been regarded as the "Gypsy heartland", where many Roma have always lived and nowadays more than half of all Spanish Gypsies live there. In Portugal the majority of Gypsy groups live in areas with a higher population density, such as Lisbon. Gypsy groups are concentrated mainly in the regions along the Portuguese coast, with higher population density, and in areas near the borders. In Bulgaria, there is no city in the country without at least some representatives of Roma families. Currently all Roma are sedentary. In Romania, the Roma constitute one of the major minorities ( about 2.5% ).There are many reasons why many Roma do not declare their ethnicity in the census: they do not have an identity card or birth certificate; they fear discrimination or because of the process of ethnic assimilation. In Hungary, there is a considerable Roma minority living in Budapest. In other European countries such as France, Italy, former Yugoslav states, Scandinavian countries, etc., there are also Roma groups living there, but they are less numerous. The Roma recognize divisions among themselves based in part on territorial, cultural and dialectal differences. the Romnichal (Romanies) (mainly in UK and North America). the Nordic Roma, with a strong German influence (Abruzesi, Calabresi, Cale, Kaale, Lotfitka, Manouches, Volšenenge, Polska, Sinti, and Xaladitka). The first and most important level of social organization for Roma people is the family. The family can be rather large and include several generations and it is the centre of Roma life. The social organization of all Roma communities is based on the concept of the patriarchal family. Everything revolves around it. The man is the head of the family, providing food and defending the family’s reputation. This gives him the right to be the undisputed authority and to make the important decisions. The woman, brought up in a conservative way, is the one to ensure continuation of tradition in the group. The woman takes care of the household and the children. The elderly, especially grandfathers, are the most respected. They are the ones with the most experience and therefore they can be asked for advice as they are the wise elders of the family. Matrimonial alliances are an essential element in the social organization and vary considerably from one Roma group to another. The second level is the lineage, that is, the extended family. The lineages take their names from some old time leaders or ancestors. For example, Jonešti is derived from Jono (John), Miheješti comes from Mihai (Michael), etc. The third level of organization is the "sub-ethnic" group, like Kalderaši, Lovari, Sinti, Čurara, Mačvaja, Zlotara and so on. Groups are in a way historical entities which are bound together by a common history as well as by common traditions and language and sometimes by common trades. Belonging to a certain group is considered more important than the mere fact of being Roma. The last level is that of ethnic belonging, namely the concept of being Roma, or, conversely, Gadže or non-Roma. Travel should be considered more as a real or potential mobility rather than nomadism. Travelling allows social organization, it grants adaptability and flexibility and it allows the exercise of profession, so it also has an economic function. It is obvious in certain occupations: street vendors who follow the schedule of festivals and fairs, horse dealers at livestock fairs, agricultural workers in the fruit seasons, grape and olive harvesting, for example. Britain is perhaps the only remaining country in which traditional Roma communities maintain an itinerant lifestyle, living in caravans on designated campsites. Most families tend to be based on the same site for longer periods of time. 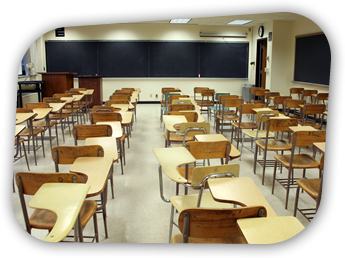 This facilitates both school attendance and the upkeep of networks of clients and trade contacts. Families usually travel during the summer months to fairs and larger family gatherings. The extended family is both the domestic and productive unit. 4 - Customs and traditions of the Roma. Traditions are transmitted from grandparents and parents to their children and grandchildren. These Roma traditions create the Romanimos or Romanipen - that is, the Roma identity. For Roma, the basic "unit" is made up of the family and the lineage. Traditions cover every aspect of life. An important event in Roma life is the birth of a child. In Portugal, the birth of children marks the recognition of man by his community. With the first-born son, the man attains a higher level and is seen as a true householder with autonomous authority. It also marks the status of women because they gain some influence and power, and they no longer stay under the strict control of their husband’s mother. Among Bulgarian Roma communities, after birth, the baby is ritually washed in salted water in which coins for health and spring blossom, if the birth is in the spring, are mixed. Parents, relatives and friends gather around a table with ritual cakes, eating honey, halva and cheese. No alcohol is served with cakes. The baby is given money and clothes. In Bulgaria there is also the custom of the child’s first haircut. It is carried out in the yard by a professional barber, accompanied by music, jokes, blessings and a festive dinner. The first important step in the life of a new born is the baptism, when the child is given their name. All members of the family and many members of the clan are present on this occasion. The choice of god-father and god-mother is important because they are considered as second parents of the child, helping them in all difficult or important moments of his or her life. They are important members of the extended family. The baptism takes place in church - catholic, orthodox or protestant - and after that, all the people attending the party eat, drink and have fun. The Muslim Roma in the Balkan do not, of course, practice baptisms. A very celebrated tradition by Muslims Roma is the “syunet” or circumcision of little boys when they are about seven years old. It is usually performed by a wealthy Muslim called “syunetchiya” .The children are paraded on decorated horse, on which a colourful blanket called an “Asha” is placed. The celebration is accompanied by horse racing, wrestling and other popular racing games. Another important event for the Roma is the wedding. Historically, among Roma , weddings traditionally occurred at an early age - for boys, between 15 and 17 years old, for girls between 14 and 16, inside the community. However, in most places, Roma marriages are rarely officially registered. Possible wives for one's son are sought by word of mouth, that is, Roma tell each other about suitable girls of the right age to marry. The father and mother of the groom (to be) sometimes pay a visit to the parents of the girl. The parents of the boy look for a future daughter in law who is beautiful, wealthy and from a well-known family. If they (and both the bride and groom to be) like the match, the ceremony corresponding to a betrothal may begin. In some groups, money - sometimes large sums - is paid for the bride. This tradition of "buying" the bride has remained very much alive among Vlach Roma and especially among the Kalderaši. The choice and ultimate decision is taken by the parents. Among Kalderaši, there are sometimes early agreements of betrothal, when the children are sometimes still of a very young age. In any case, should the wedding not take place, the parents of either the boy or the girl have to pay a fine. Another well-preserved tradition, performed the day before the wedding is the bride's hennaing. It is best preserved among Roma Muslims communities. The ritual begins at midnight. The bride is has henna painted on the fingers of both hands and the palms, then on the toes of both legs. This rite is accompanied by donating money on a white cloth, which is wrapped around the hands and feet of the bride. The white canvas is fastened with a red thread and together they symbolize the integrity of the young wife. Henna painting itself is done by an old and influential woman who has only one marriage and never cheated on her husband. She and all the older relatives bless the young couple . On the wedding day relatives from the settlement and even from other villages or cities, are present. They are to be honoured by an abundance of food and drinks, presented by the parents of the newlywed. From that moment onward, the two sets of parents are considered to be related. At the wedding, all the guests give gifts to the newly-weds, sometimes even money, and they return the courtesy by giving small gifts to them. Traditionally, all guests waited for the blood traces proving that the girl was a virgin. If the bride does not prove to be a virgin, sometimes the marriage breaks down and she is returned to her parents and the dowry is returned to the group that paid for the bride. Another tradition exists among some Roma groups: the abduction of the girl by the boy or rather the flight of the young couple when their parents haven't formally agreed to a wedding. After a few days, the young couple returns and the wedding is then celebrated. After the wedding, the girl wears a scarf over her head. She is not free to show her hair to others than her husband. This tradition is dying out in bigger cities. The bride traditionally goes to live with her husband's family. In the Spanish gypsy community, the couple is confirmed as joined when they have their first child; man and woman entering adulthood. If the marriage does not work, divorce is allowed among Roma. This can either happen by mutual consent or be judged in the Kris. Once divorced, both are free to marry again. Roma communities also have specific customs and rituals related to death and funerals. Some of the most typical traditions for death and burial are found amongst Kalderaši with Christian faith. When someone dies in the family, their close relatives buy a coffin and lay the dead in their best clothes inside it. Sometimes, objects dear to the deceased are put with them in the coffin. For three days and nights, the deceased and the coffin remain at home, the family keeping a vigil. On the fourth day, the deceased is carried to the cemetery, always feet first and buried in elaborate tombs. For Muslims Roma the burial custom involves giving away a little money to the relatives of the deceased (iskati). Historically, the caravan and all the property of the deceased were burned and this ritual is still performed today by nomadic gypsies in Northern Europe. In Spain, they sold their horses or animals and burned the deceased's cart, and today there are families who still burn the clothes of the dead. These are acts of purification of Eastern origins. Today, Spanish Gypsies are usually buried, like the rest of the citizens, in cemeteries. The wake is always held in the house of the deceased, but they are beginning to use funeral parlours. They wear black clothes whilst in mourning. Another important part of the Roma traditions is devoted to rules about ritual cleanliness and uncleanliness. For example, from her first menstruations and up to the menopause a girl is considered as being potentially unclean and could thus also render a man unclean. A man is not allowed to touch her skirt and the women, on the other hand, are not allowed to sit near the tools used for work. If this happen, the entire work becomes unclean and has to be thrown away or broken. When a Roma is considered ritually unclean, he cannot eat and drink together with the other Roma, but only among his closest relatives. This continues till the moment where the uncleanness ceases. Other things are considered ritually unclean. For example, the following: eating or drinking from plates or vessels on the floor; washing men and women's clothes together; washing upper body and lower body clothes together etc. are all "unclean". These traditions are still very much alive among many different Roma groups - more so among the Kalderaši, Lovari, Sinti and Travellers in England. The highest judicial instance of the Roma social structures is the Kris. This "Gypsy Court", is in fact an arbitration court. The members of this court are chosen from among the most highly regarded, honest and intelligent Roma in the community. The highest penalty handed out by the Kris is banishment from the community, either for a given period of time or completely. This is a severe penalty as a Roma cannot exist without the Roma social structures. This penalty is feared more than death. But one has to say that no Kris ever handed down a death penalty. A Kris does not have the right to take a Rom's life. The Kris also hands out other penalties for example fines (sometimes rather high), to be paid by the guilty party. This tradition is still alive, even in Western European countries, where Roma generally still continue to resolve internal disputes within the community. 5 - Roma Culture. Influence on Local Culture. Romani culture is diverse but there are attributes common to all Roma: loyalty to family; belief in Del (God) and Beng (the Devil); belief in destiny, etc.. Roma culture has two main aspects – the spiritual and the material. Roma have usually adopted the dominant religion of the host country but preserve aspects of their original religion and worship. Officially, a large part of the Roma in the Balkan and the Crimean Roma are Muslims. All other Roma are Christian: Catholic, Orthodox, some Protestant .A growing number of Roma have embraced Evangelical movements. Evangelical Roma churches exist today in almost every country where Roma are settled. The movement is particularly strong in France and Spain. Others have joined the Pentecostal Church or other congregations, like the Baptists, the Seventh-day Adventist Church and Jehovah Witnesses . Apart from their belonging to a religion, the traditional Roma beliefs are very much dualistic: on the one hand Del or Devel (God), the source of all goodness, light and the protector of men; on the other hand Beng, the Devil, the source of evil, darkness and the tempter of men. The oral folk tradition - stories, songs, legends, sayings and proverbs, riddles, folk poetry, etc. - had not been recorded and catalogued until recent years. Roma folklore is definitely their greatest spiritual patrimony. There is a strong tradition of Romani music in Central and Eastern Europe, in countries such as Hungary, Romania, Bulgaria and the states of former Yugoslavia. One part of Romani music is based on the folk music of the countries which the Romani travelled through or settled in. Romani music has greatly influenced the local music. In Bulgaria, as an example, Roma songs and dances are a mix of Roma and Balkan folk traditions. In Western Europe, the Spanish flamenco is, to a very large extent, the music (and dance, or indeed the culture) of the Romani people of Andalusia. Folklore medicine, mainly spread in Bulgaria but also in other Balkan countries and Romania, is the result of their distrust of traditional medicine and the lack of funds for specialized treatment. Many Roma families retain to this day the ability to heal through herbs and specially prepared natural potions and ointments, passing the knowledge from generation to generation. Fundamental Roma values are also an integral part of Roma culture. They revolve around individual and collective freedom, family, children, enjoyment and traditions. Roma material culture is the result of typical Roma crafts and their works. Traditional trades are inseparable from Roma groups as they are one of the strongest foundations of group identity. These trades, except fortune-telling, are a man's work. Women are also involved helping their husbands, brothers and fathers at work. The most important traditional trades are: metalwork, horse-dealing, music as a trade and woodwork. Nowadays, one finds Roma in all trades: lawyers, doctors, scholars as well as mechanics, farmers and so on. - Ironwork .The profession of blacksmith is one of the oldest among Roma. It used to be the main profession of the Carpathian and Balkan Roma. The iron-working trade includes the manufacturing of agricultural tools, household items, iron items for construction and installation, locks, etc. The best hardware-smiths today make objects of wrought iron such as ornamental iron lacework. - Copperwork. Another profession closely related to metal work is the manufacture of cauldrons and pots. This profession, taken-up and still practiced nowadays by some Roma groups, is found mostly in the Balkans, in Romania and in Hungary. It is associated primarily with the Kaldaraši, whose name comes from Romanian - căldărar/căldăraş, cauldron maker. - Gold and silverwork. Among Roma - mostly in Romania - one also finds jewellers . They obtain their metal from old silver coins and jewels sold to them by the local population. Another trade, wood-carving, was brought from India by the Roma. In Bulgaria, the basketry and wood processing is also a traditional trade. Materials such as hazel, beech and split wicker bands are used. Music is one of the most popular traditional Roma trades. This trade is a traditional craft for generations of Roma families and is transmitted from father to son and practiced in a group or band. It is played at different occasions like weddings, parties, fairs and does not require knowledge of musical notes. The instruments used, in order of popularity, are: the violin, the lute, the dulcimer, the accordion, the bass ,the guitar, bagpipes, whistle, tambourines made of willow, aspen or cane, and the clarinet. Gypsy music contains much improvisation; it is spontaneous, rhythmically rich, has varied melodic facets and combines the use of tempo with changes of rhythm. Roma music is very important in Eastern European cultures and the style and performance practices of Roma musicians have influenced European classical composers such as Franz Liszt and Johannes Brahms. The distinctive sound of Roma music has also strongly influenced bolero, jazz, flamenco and Cante Jondo in Europe. In Britain, perhaps the only remaining country in which traditional Roma communities maintain an overwhelmingly itinerant lifestyle, the Romani Gypsies are almost all self-employed, and tend to maintain a portfolio of itinerant specializations. These include goods sales (hawking of blankets, linen, carpets, household wares); trade in second hand goods (cars, caravans, clothes, furniture); breeding of horses and pedigree dogs; clearance of discarded goods and waste, especially scrap metal; external building and gardening and specialized Gypsy crafts: handmade clothes, wooden baskets, handmade flowers, lucky charms and lace, knife-grinding, fortune-telling. It is practiced as a semi-nomadic lifestyle by the Roma who travel through the countryside and offer their own labour in agriculture. In Bulgaria, the "Suitcase” trade began its development as a kind of business for the supply of cheap clothing and small, scarce industrial goods from neighbouring countries. In the beginning the production was done at an improvised stall in towns, but nowadays traders have their own shops. In Spain and Portugal the traditional occupations of the Roma groups are small businesses, which mobilize the whole family, like selling items like clothing, footwear, carpets, etc. at fairs and markets. Since the oldest times, the Roma were known for practicing the art of fortune telling. They used many methods, from crystal balls, tarot cards (it was said that Roma invented this type of cards) and palm reading. The women fortune tellers claim that their powers come from the supernatural land. As a rule, they do not use fortune telling for other Roma. In their community they have other ways to foresee the future and to heal. Roma often wear lucky amulets and talismans, to keep trouble, bad spirits and illnesses away. They also use herbs for healing illnesses, many of them having pharmaceutical proprieties attested also by conventional medicine. After the fall of the communist regimes, working abroad became a livelihood for tens of thousands of Roma from Eastern Europe. Preferred destinations are Greece, Italy, Spain, Portugal, France, Germany, Belgium, Holland and England. Usually men go first, and then their wives and children. Jobs in construction, agriculture, trade and services are preferred. A significant part of them, however, prefer to invest earned money in their homelands, in the construction of family houses, in buying land, animals and cars and in developing their own business. - Anton Pann (Antonie Pantoleon Petroveanu) -poet, composer of religious music, folklorist; he composed the music of the national hymn of Romania. - Fănică Luca (Iordache Luca Ştefan) - pan-pipe player and Romani singer, he was considered one of the most talented pan-pipe players from all times. - Quaresma – well known football player. - Juan De Dios Ramírez Heredia– he was the first Gypsy member of the Parliament in Spain and also the first Gypsy MEP in Europe. - Jose Heredia Maya - professor of Spanish Literature at the University of Granada; the most important Spanish language Gypsy poet of all time. - Dr. Atanas Dimitrov - philosopher, lecturer and translator. - Ivan Kirilov - magistrate and writer. - Professor Alexander Chirkov - Cardiac Surgeon. - Russi Zabunov- founder of the first Roma organization in Bulgaria. - Janos Balasz – artist known for his naïve art and poetry. - Philomena Franz - She was the first Sinti awarded the "Federal Cross for Merits", the highest civil award which Germany confers. There are lots of institutions and organizations currently working for or involved in the development of the Roma community in the European states. 1) When did the Roma arrive in Western Europe? 2) Which country prohibited the Roma from entering and deported the ones living there to Brazil and Africa in the 16th and 17th centuries ? 3) When and how did the Roma arrive in the British Islands? How were they called? 4) In which historical period did people start to show interest in the Roma? 5) What is the estimated Roma population nowadays? 6) According to the Council of Europe, which two countries had the largest Roma populations in 2007? 7) What are the main reasons why the Roma don´t talk about their origins? 8) How many Roma groups are there, taking into account their geographical spread? What about the divisions based on their dialects? 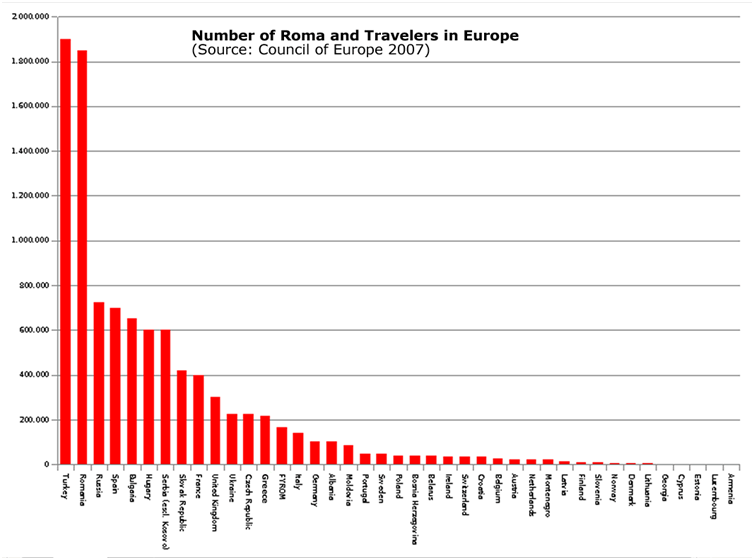 9) In which European country is the Roma population mostly itinerant? 10) What does the “bride´s henna painting” tradition consist of? 11) What does the “abduction of the girl by the boy” tradition consist of? 12) What is the “Kris”? Write its main features. 13) What do the words “Del” and “Beng” mean for the Roma? 14) Nowadays, Roma people work in any kind of job, but what are their most important traditional trades? 15) Explain in your own words what the “suitcase trade” is. 16) Choose three personalities in Roma culture and explain the reasons why you have chosen them. 1) The Roma originally came from Egypt. 4) In the 20th century Roma political activity arose. 5) After the Second World War the Roma community was practically silenced in Europe. 6) Most Roma population live in the South of Europe. 7) More than half of Spanish gypsies live in Andalucía. 8) In Portugal the majority of Roma population live in Lisbon. 9) The percentage of Roma population in Romania is 25%, the highest in Europe. 10) The godfather and godmother of the baptism are considered to be members of the family. 11) Among Roma, weddings traditionally occurred at an early age, always under 14. 12) After the wedding ,the bride must wear a scarf over her head as she mustn´t show her hair to others than her husband. 13) Divorce is not accepted among Roma people. 14) The Kalderaši of Christian belief, sit by the deceased at home for three days and nights. 15) The highest penalty handed out by the Kris is banishment from the community. 18) The art of fortune telling is practised by men and women. 19) Mainly Roma women emigrate from former communist countries. a) thrown petals of flowers and its hair is cut at full moon. b) washed in petals of flowers and alcohol is drunk to celebrate the birth. c) washed in salted water and its hair is cut by a barber. 3. What is the “syunet”? b)	It is the circumcision of little boys when they are about seven years old. c)	It is a Roma celebration accompanied by horse racing and wrestling. a)	to marry girls off to people from other communities. b)	to buy the bride by paying large sums. c)	to mark the groom(to be)´s initials on the bride(to be)´s skin and the other way round, when they are little children as a sign of betrothal. a.	European classical composers such as Franz Liszt and Johannes Brahms. 1) From your own point of view, write in two columns positive and negative things about the Roma family organization. 2) Make a list of ten Roma customs or traditions. 3) Write a short story (100 words) about Roma customs and traditions .You can use words from Romani to make it more real. 4) Review the words from the Romani language that are used nowadays. Write in one column the ones you had already known and in the other the ones you have just learnt.